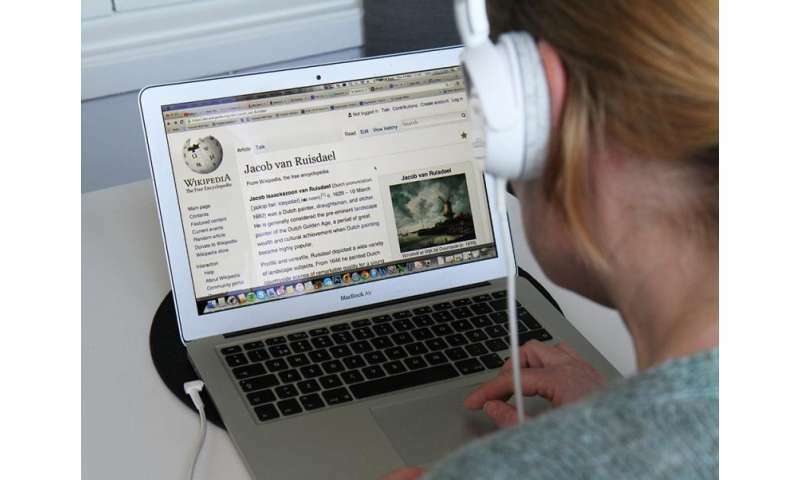 By 2017, English, Swedish and Arabic speakers will find that Wikipedia is talking their language—literally. The online free encyclopedia is collaborating with Sweden's KTH Royal Institute of Technology to develop the world's first crowdsourced speech synthesis platform. "Initially, our focus will be on the Swedish language, where we will make use of our own language resources," Gustafson says. "Then we will do a basic English voice, which we expect to be quite good, given the large amount of open source linguistic resources. And finally, we will do a rudimentary Arabic voice that will be more a proof of concept." An estimated 25 percent of all Wikipedia users—nearly 125 million people per month—need or prefer text in spoken form, according to PTS. Like Wikipedia's content, the speech output will be crowdsourced, with users contributing to the continuous development of the synthesizer. Once the English, Swedish and Arabic speech engines are produced, sometime around September 2017, it will be possible with the help of users to extend synthesized speech to the remaining 280 languages in which Wikipedia is available.